A fun "Break In" adventure is the evening activity. A twist on an Escape Room, families are given clues, riddles, and other hints to break into the officers' quarters, storehouse, and other buildings. Families have a rare opportunity to sleepover in the Fort! 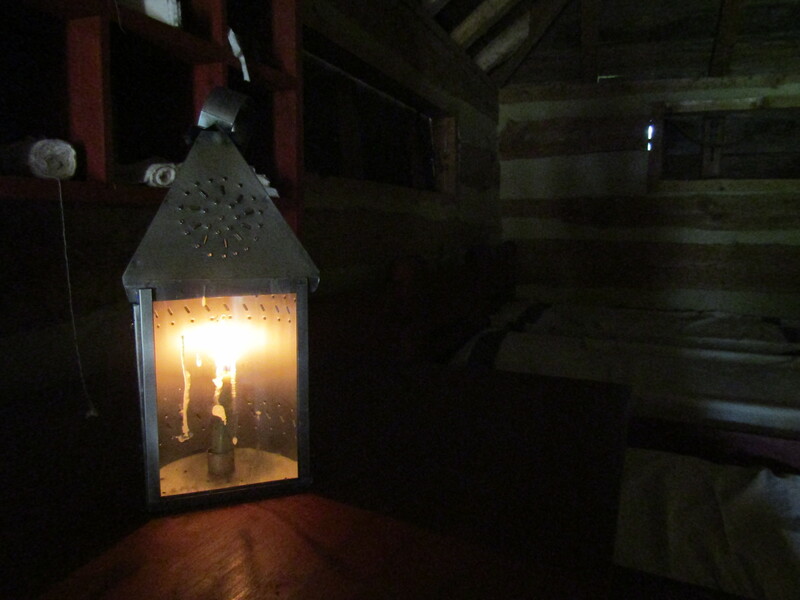 Campfire stories, candlelit tours, and more! A fun “Break In” adventure is the evening activity. A twist on an Escape Room, families are given clues, riddles, and other hints to break into the officers’ quarters, storehouse, and other buildings. Families have a rare opportunity to sleepover in the Fort! Campfire stories, candlelit tours, and more! Advance reservations are required. Register online at https://www.eventbrite.com/e/night-at-the-fort-museum-break-in-edition-tickets-47518837121 or with Candace Gross at cgross@fortligonier.org or call 724-238-9701. Open year round. Seasonal hours mid-November thru mid-March (Fridays, Saturdays and Sundays – Museum only).